How much LED lights do I need for the room? 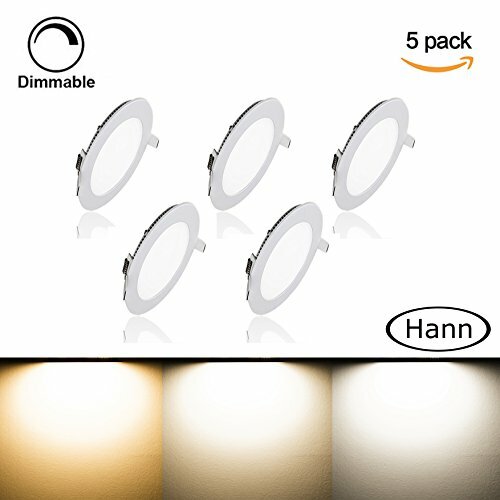 How to choose the lights color? 3000K: Used in family, hotels, coffee shops and other warm and sweet environment required. 4000K: Used in home where need a soft white lighting atmosphere. 5000K: Used in office, working area, shopping mall and other commercial area or some place where need super bright. 1. First install two spring loaded clips in panel light. 2. Connect LED driver wires with household electrical wire. 3. Put panel light into the hole. 4. The spring loaded clip automatically clasp the ceiling, finish! We will add an installation guide in the package. If you have any questions about this product by Hann, contact us by completing and submitting the form below. If you are looking for a specif part number, please include it with your message.